"Reply 1988" takes over the tvN Fri & Sat 19:50 time slot previously occupied by "Second Time Twenty Years Old” and will be followed by "Signal" January, 2016. Premise for the drama series is inspired by MBC drama series "Three Families Under One Roof” ("Hanjiboong Segajok") which aired from November 9, 1986 through November 13 1994. First script reading took place in the afternoon on July 8, 2015 at CJ E&M CENTER in Sangamdong, Seoul. Filming began July 31, 2015 at a drama set in Uijeongbu, Gyeonggi Province, South Korea. Story and characters are not related to prior series. 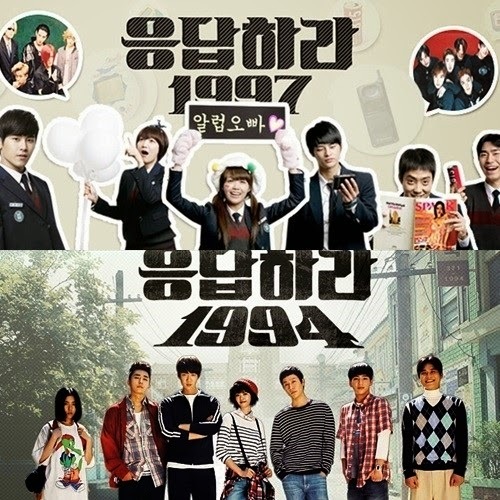 The third series from the creators of tvN’s hit throwback dramas Answer Me 1997 andAnswer Me 1994 has pretty much been in the works since the the end of 2013 (whenAnswer Me 1994 wrapped). Pre-production stalled for a considerable length of time this past year, but now with Misaeng in the rearview mirror, tvN seems more eager than ever to get PD Shin Won-ho and writer Lee Woo-jung locked down for their as-yet-unnamed drama (aka the cable network’s next big hit). The wheels are back in motion for what will likely be a July premiere — the question now is what exactly that drama will be. It probably goes without saying that the anticipation for this team’s third collaboration is high, which leads to lots of speculation in the press and lots of backpedaling from Shin PD every time one of these rumors surfaces about the direction of his next drama. The latest wave is pretty specifically about Answer Me 1988, which seems to be a strong contender for the third installment of the franchise, though producers were quick to say that it’s just one of many possibilities, and that the next drama might not even be anotherAnswer Me series. Earlier today, producer Shin Won Ho shared that “Reply 1988″ will be a family drama set in the year 1988. Slightly stepping away from the original format, the director hopes to focus on the heart-warming stories of diverse families, and plans to take inspiration from the MBC drama “Three Families Under a Roof,” which enjoyed huge popularity in the 80s. Meanwhile, producer Shin Won Ho and scriptwriter Lee Yoo Jung are the creators of hit series “Reply 1997” and “Reply 1994,” which can be accounted for the breakthroughs of talented actors like Seo In Guk, A Pink‘s Jung Eun Ji,Go Ara, and Jung Woo. For the love of God, please no guess the husband game! EXO's Chen and Infinite's Woohyun are rumored to be casted in this drama. If EXO's Chen in I'm in. I've watched Reply 1997 and in the middle of watching Reply 1994. I hope this one will be even better. Don't care about who will be main actors & actresses. That's exactly what I feel towards the 3rd installment. I know it can be awesome and probably will be to at least some extent, but certain things in Answer Me 1994 left me extremely frustrated. It's a bit like Stockholm Syndrome, I know that watching it will probably be infuriating, but there is no way I'll be able to stay away. That guy from Hi School - Love On? He can't act to save a country. I hope it is just a rumour. That's exactly what I feel about the 3rd installment. I know it can be awesome and probably will be to at least some extend, but certain things in Answer Me 1994 left me extremely frustrated. It's a bit like Stockholm Syndrome, I know that watching it will probably be infuriating, but there is no way I'll be able to stay away. Hahaha... stockholm syndrome. Good one. But i think i am a willing victim from the start. Previously (before reply1994 started) The moment shin pd and writer lee made announcement i knew i was locked for it. and now for this 3rd, i am way anxious and scared and excited after reply 1994 heartache and heart tugs, but its shin pd and writer lee, so YUP, IM IN!. additionally i love that they showcase raw and hidden gems of talent. i so thank this duo for bringing to my attention oppaya... hahaha still obsessed with him. Even tough I didn't find the second one as good as the first one, I'd watch it for these two. If they wouldn't have been cast, there's no doubt I wouldn't have watched it. So thanks for starting the thread, @czakhareina. Yay! I've been waiting for this duo and the franchise to come back. No matter what, their shows are addicting and have interesting casts (and provide interesting experiences as a watcher haha R97 with the subs debacle, and R94 with the über famous shipwars). I see familiar faces around the thread, so looking forward to another dose of reply (please no overbloated duration for the episodes. both installments were exhausting because of filler by the final episodes). PS: how confirmed is the timeslot? Are they changing it from fri to tue? Dont make me cursing again Pdnim and writernim !!!!! Hahaha. So true. I super love woohyun in highschool love on but he really cant act now. the only thing that somehow saved him from complete and utter destruction was KSR who acted for him and acted with great chemiatry with him. He needs a lot of lessons.. a lot! Dont really know the other guy. Too many members of exo to really keep track of. i do wonder if they are gonna go with younger cast...? I was hoping they would showcase characters who are out of school. More like just recently out of school. if they go with 1988. I guess there is gonna be an episode titled andwer me 1994 and then answer 1997. And our fave cast From previous installment will cameo. Definitely looking forward to this. The popular ‘Reply’ series is set to make its return for a third time this October, with tvN announcing today that they will move the setting even further back to 1988 for ‘Reply 1988,’ and it will focus on heartwarming stories of diverse families. The confirmation of ‘Reply 1988′ was also accompanied by news that Sung Dong Il and Lee Il Hwa will return for the third time as well, and will continue to play a married couple and the parents of the lead characters. After the longest development tease ever, PD Shin Won-ho and writer Lee Woo-jung of the Answer Me franchise (that’d be Answer Me 1997 and Answer Me 1994) have finally announced that the team will definitely be returning with a new installment of the stand-alone spinoff series this year, and as previously teased, this time we’ll be heading a little farther back in time with Answer Me 1988. More importantly, some key story changes are also in store. First of all, parents Lee Il-hwa and Sung Dong-il will be returning for their THIRD run as Mom and Dad. I don’t know how many bizarro moms and dads you can create in the same dramaverse without making the world implode on you, but they sure are testing the limits. It already weirded me out when they had Jung Eun-ji’s dad meet Go Ara’s dad inAnswer Me 1994; now they want a third Sung Dong-il running amok? Granted, I love love love these guys and they play the best parents in dramaland… but c’mon, there have to be other actors that wouldn’t require bending the space-time continuum for? 1. [+1920, -161] We want 2002 also! 3. [+1112, -119] I'm really looking forward to 'Reply 1988'. You can trust tvN with their dramas. The 'Reply' series, Marriage not Dating, Emergency Man and Woman, Gapdong, Rude Miss Young Ae, Nine, I need Romance series, Queen Inhyun's Man... tvN really comes up with the best ones. 4. [+812, -40] Which star is gonna shine this time..
6. [+162, -2] Please cast Sung Dong Il and Lee Il Hwa..
1. [+7666, -54] These two are amazing in their roles as parents~ Especially Sung Dong Il whose acting gets a perfect score in my book. I'm really looking forward to seeing the Olympics, the generation X, flash dance, A Chinese Ghost Story, A Better Tomorrow, the democratization..
3. [+4392, -44] Will he be the Eagles coach this time? 7. [+148, 0] What is that ahjumma planning to cook again? 11. [+89, 0] I was a high school senior in 1988.. I am now 46 years old. 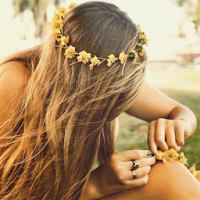 I miss those times..